Apparently, Fred Durst was inspired to make The Fanatic based on his real-life encounter with an obsessive fan who began stalking him. In the movie, Travolta will be playing a cinephile named Moose, who's perhaps a bit too obsessed with action movie star Hunter Dunbar. What begins with stalking the celebrity grows increasingly more dangerous as Moose becomes fixated on completely destroying the actor's life. Final Destination star Devon Sawa will be co-starring with Travolta, playing the targeted celebrity Hunter Dunbar in the movie. Ana Golja, Jacob Grodnik, and James Paxton also star. John Travolta is no stranger to portraying villains, playing bad guys in many action and drama movies throughout the years. Roles in movies like Pulp Fiction, Face Off, The Punisher, and Gotti have seen him take on some pretty dastardly characters. However, Moose seems to be something new for the veteran actor. 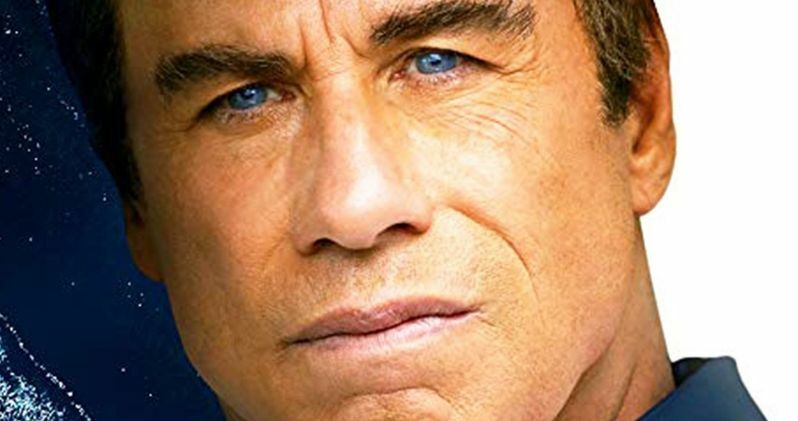 While usually Travolta is playing a gang boss or a dangerous mobster in most of his villain roles, this time he'll be an everyman whose obsession with a certain celebrity turns psychotic. Moose does not seem to be a criminal mastermind like some of Travolta's other characters, but will apparently be just as dangerous. It's a fear shared by many celebrities with similar horror stories of their own, and it truly makes one wonder if the cost of fame is worth it. The Fanatic will actually be Durst's third movie as a filmmaker. He made his directorial debut in 2007 with the drama movie The Education of Charlie Banks with Jesse Eisenberg and Jason Ritter. It told the story of a young man named Charlie (Eisenberg) reuniting in college with a high school bully (Ritter), suspecting his former tormentor is now plotting vengeance. Durst followed this up with the comedy sports movie The Longshots, which was released a year later in 2008. Starring Keke Palmer and Ice Cube, the movie is based on the real-life story of Jasmine Plummer, the first woman to compete in the Pop Warner football tournament. Over a decade since the release of his last movie, Durst is back in the director's chair. Admittedly, the very concept of a John Travolta stalker movie made by the Limp Bizkit frontman sounds very interesting. There is currently no official release date set for the movie, but hopefully we'll find out more and see some actual footage soon. This information comes to us from Bloody Disgusting.